The computer center administers this system to electronically control access to various access points at GJU such as main entrances, offices, labs, classrooms, and elevators. 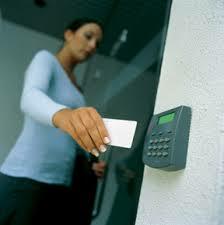 Various access control readers that read a card number or a pin are installed at the desired access points. The card reader sends the scanned credentials via our Intranet to the corresponding controller for comparison against a stored access control list (ACL) to decide whether to grant or deny access to the desired point. The computer center is responsible for distributing and programming the access door cards as well as maintaining the whole system. If you need a new access card or you need to program your existing card to access new points, please get your manager's approval and fill this form and submit it to Eng. Ahmad Arabyat in room A106.